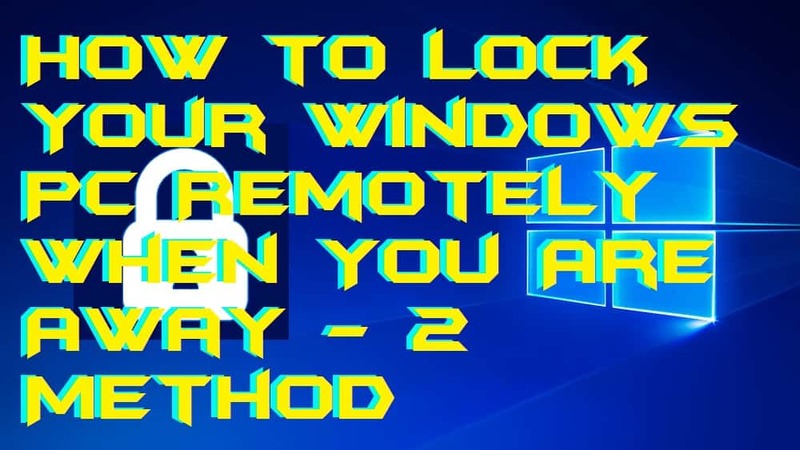 Hello friends, Today I will tell you a method on how to lock your Windows PC remotely when you are away. Users can lock their Windows PC/Laptop remotely. You can lock your Windows computer even when you are far away from your computer. You can secure your computer remotely using this method. Both of these methods are working, and you can lock your computer even when you are away. You can lock by staying in office to home or vice versa. Suppose you are not at home and you need to lock your Windows PC then how you will lock your Windows PC remotely? Ever wondered about a method to lock your Windows PC remotely? Not now, right. Well, I will be explaining a couple of ways by which you can learn that how to lock your Windows PC remotely when you are outside. Of course, you can lock your Windows PC remotely using your Android smartphone. The methods are very simple and straightforward so that you can learn easily that how do you lock your Windows PC remotely from the Android phone. TeamViewer is the best and very popular remote desktop software in the world. Everyone knows TeamViewer very well. TeamViewer is available for Windows, Mac, Android, iPhone, etc. devices. Though, you can use it to lock your Windows PC remotely using the Android phone. TeamViewer is totally free to use though no charges you have to for it to use it. I have shared simplest guide ever to know that how to lock your Windows PC remotely using TeamViewer software. Explore the step by step guide from below to know more about it. Get the TeamViewer software on your Windows PC/Laptop. Now, get the Teamviewer app on your Android phone. Then, open it on your Windows PC and note down the ID and password of it. After that, go to your Android phone and enter that Id then enter the password. Once connected to your Windows PC then you can use the lock feature to lock your PC remotely. AnyDesk is a very famous software for remote desktop service. Most of Windows users use Anydesk to get remote desktop service for free of cost. The best part of Anydesk is that it is free, run smoothly on Windows OS, and very light weighted for every device. However, it supports the devices like Android, Windows, Mac, iPhone, and more. 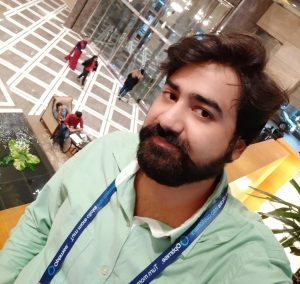 I have shared a method to you by which you can get and use Anydesk to lock your Windows PC remotely from your Android phone. So, let us go through the method to know more about it. Get the Anydesk software for your Windows PC/Laptop. Now, go to the Google Play Store and get the Anydesk app for your Android phone. Then, open Anydesk on your PC and write down the ID and password on your Android phone. Now, when you get outside then open the Anydesk app on your Android phone. Enter the ID and password to get connected. After that, lock the PC using options. These are some method by which you can learn the technique about how do you lock your Windows PC remotely from your Android phone. Whenever we go outside, then we have our Android phone in hand though we can now use it to lock the PC remotely so that no one can use it in our absence. There is some other software available, but these are the best software to do so. That is why I have shared this software with you guys. I hope now you have got the idea that how do you lock your Windows PC remotely from your Android phone. Share this article with your friend also and then them about the guide which is how to lock your Windows PC remotely.